Why? Because it's awesome. You get to see Bruce Willis running around in a wife beater saying "Yippee ki-yay,..." and "Now I have a machine gun. Ho ho ho. "Plus you have Alan Rickman as the German thief, which is just a recipe for greatness. And other funny lines like "Pearl Harbor didn't work out so we got you with tape decks." Love it. Okay, let me just take a moment to say that I am NOT excluding cheesy, girly movies from this list. Nor am I excluding, as you'll see later, the corny made for TV movies that seem to take over the airwaves every Christmas. Because the truth is, I love them all. I love the cheesiness. I love not having to put a lot of thought into what I'm watching...sometimes. So my reasons for actually loving Love Actually? Well, Alan Rickman of course, and Colin Firth, Emma Thompson, Bill Nighy, Liam Neeson, Keira Knightley, Laura Linney, and Hugh Grant make an all-star cast. Plus seeing Billy Bob Thornton as the United States President...yeah, enough said. Plus, they threw in Claudia Schiffer, Denise Richards, and Shannon Elizabeth. Favorite scene? Obv its the Carol Singers scene. Again cheesy, but I love it. Half of it at least. I'm not much for the whole Cameron Diaz/Jude Law storyline (except for his little girls with their adorable accents, I'm a sucker for that). But I love the Kate Winslet/Jack Black storyline. I love Arthur the famous screenwriter and his stories of the glory days of Hollywood. And I love the score. I'm pretty sure Hans Zimmer is a genius. In fact, I know he's a genius. Whether it's the 1847 original or the 1994 remake, it's heart-breakingly sweet. And Kris Kringle is really Santa. I don't care what you say. Because it wouldn't be Christmas without creepy little monsters trying to take over. And you can't been Danny Elfman himself singing the voice of Jack Skellington. This is one of my all-time favs. 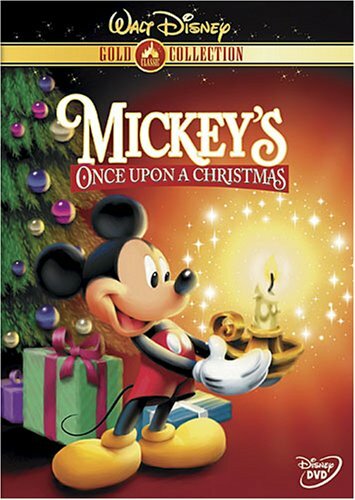 I have watched this every year since it came out. In fact, I had such a crush on Macaulay Culkin when I was a little girl. I was thinking about how unrealistic it is, I mean, if you hit someone with a crowbar you're sure to break a rib or something. But oh well, it's a movie. And I love the pizza delivery scene, "Keep the change ya filthy animal!" Well, who wouldn't love Will Ferrel as a giant elf, and Zooey Deschanel singing the best version of "Baby It's Cold Outside" that I've ever heard? The one with Jim Carrey. I actually could never sit through the cartoon one. I don't know if that makes me a terrible person or what. But I love the Grinch. And the little Cindy-Lou "Who singing Where Are You Christmas?" with her little squeaky voice makes my heart melt. Okay, this is a dumb movie. I'll admit it. But I've always had a little thing for Michael Keaton, ever since Batman: The Movie. And it's sweet, a kid being reunited with his dead father (in the form of the snow man)...but whatever. It's just a classic. That's all I need to say. You haven't had Christmas until you've seen White Christmas. Okay, confession time. I actually didn't see this wonderful, classic, delight of a movie until last Christmas. I know. Where have I been? Probably watching the wrong channel (like Disney or ABC Family). But it is so good and it really has the true meaning of Christmas spirit. If you haven't seen it (like me a year ago) or you just haven't watched it in a long time be sure to turn it on this Christmas. It's a gem. It's a must. It just is. Just watch it, okay? Especially if you have kids. But even if you don't. Watch it anyway. Aw. A single mom and a single dad keep bumping into each other at the airport as the send and receive their children to/from their exes. How could you resist? This has all the makings of a Christmas movie: snow in California, a dad stranded at the airport, a determined kid saving Christmas, and a machine that controls the weather...wait, what? This has got to be one of my favorite episodes ever. Misteletoe and a lawyer feeling puckish, a dad in jail wanting to spend time with his kids, another dad in jail not wanting his kids to know, a FBI agent and his son who doesn't want to spend Christmas without him, not to mention a dead Santa. It's the best. 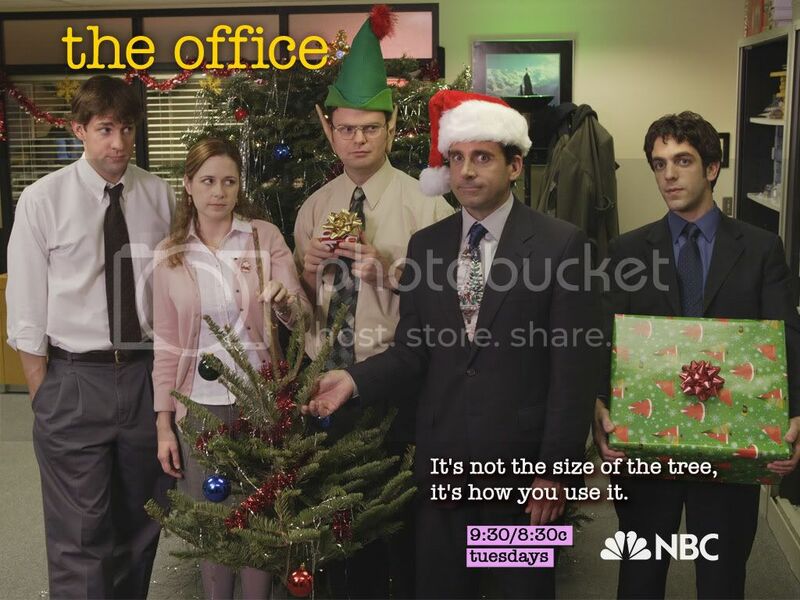 This is the Season One Christmas episode. The team get quarantined because Hodgins drinks Egg Nog when he's supposed to have a mask on. Bad Hodgins. So we get to see Booth's son Parker for the first time, and Angela's dad is none other than ZZ Top. So good. Michael spends too much, and doesn't get back what he gives. So he turns the gift swapping into a white elephant. He also lets the staff drink alcohol at the office party. = uh oh. Funny quote: "Happy birthday, Jesus. Sorry your party's so lame." Awww, it's one big dysfunctional family Christmas. There's nothing better. It's Christmas and nobody has the holiday spirit except Turk, but even that can come crashing down. Who's going to save Christmas this year? The Janitor? Well...maybe. My friend has started me watching Supernatural. I can't watch it by myself, so I only get to see it when I'm at her house. So a couple weeks ago we watched this episode and it was great. There was an anti-Santa. And Dean and Sammy are the hottest brothers ever. The boys decide to cut down a tree off the side of the Interstate and instead keep the money Red gave them for beer. Hilarity ensues.